On November 13, I will be facilitating for the fifth time this year for Portland Startup Weekend, joining dozens in the greatest startup competition on earth: Global Startup Battle. Triangle Trailblazers, where diversity is a prime directive, not an afterthought. My general style is to embarrass this poor woman. Leading up to the event, I’ve been thinking a lot about this concept of “home”, especially as I’ve recently claimed a new one after moving to Seattle. Before moving in August, I lived in Pittsburgh for three amazing years. I had just married my brilliant (and crazy-tolerant) wife, and other than striving to be the best husband possible, I had no idea what to do with my life … until I discovered Startup Weekend. From that intense, eye-opening 54-hour experience, I launched my own ed-tech community, which was admitted into an incubator, received seed investment, and even found customers. I continued to volunteer and organize for SWPGH six times, launching its first education edition in February of this year. A blizzard was going down outside. We don’t care in Pittsburgh. Above all, I made friends who simply “got it” – people who came from the Startup Weekend world as well, and knew how to “give back” in the Brad Feld sense. When we weren’t organizing in the Pittsburgh community, we’d go on an Eat ‘n Park run or watching Silicon Valley on HBO On-Demand. It was grand. Friends. Also, Startup Weekend volunteers. Coincidence? I truly considered Pittsburgh my home until two opportunities opened up for me and lured me back to the West Coast: briefly serving as east coast regional manager for UP Global before its acquisition by Techstars, and now joining the mission to transform education, technology, and entrepreneurship with Galvanize. We’re really into “the pineapple way” at Galvanize. The move from Pittsburgh was … precipitous. I didn’t have the best chance to express my love and gratitude to everyone that did so much for me in Pittsburgh over the years (though I tried to cover as many bases again here). When I moved to Seattle, I was warned of the “Seattle Freeze” and heard it would take time for me to make friends. That has not been the case … because of Startup Weekend. The first people I contacted were my former co-workers, who then introduced me to the local Seattle community leaders. Instantly, I felt like I found my family here, connected by a shared passion and experience to build community through entrepreneurship. Never go mountaineering with Marc Nager. Trust me on this one. I am completely down with the Techstars vision and rationale for why it acquired UP Global. Techstars may be the largest for-profit accelerator in the world, but it was originally founded on the mission to lower the barriers of entrepreneurship to the world. Supporting initiatives like Startup Weekend, Startup Next, Startup Digest, and Startup Week won’t really be profitable in the short run (why mess with a good thing), but in the grand design, these programs will cultivate both better startups worthy of support and stronger, focused communities that can support them. That’s the vision that Techstars and UP Global shared, and that’s why I’m willing to stay on as a community leader and global facilitator. The terms of engagement do not really change from a non-profit status (in fact, they never actually did when you discover the legal difference between donation and sponsorship). Why should our support of the community change because of it? Me (right) with my sister back in our old home in Beaverton, OR. I look back on the last three years of being a Startup Weekender and can’t believe how far I’ve come from my previous status as a graduate school drop out. I didn’t make a lot of money, win any major awards, or acquire any common materialistic milestones like a new car or house. I did, without question, make a lot of friends, and unlike the ones I made before, these friends stay in touch and support me however they can without asking anything in return, and vice versa. I also traveled a lot to places I never thought I’d ever go to until I was “summoned” by people I never met before. I have a problem with respecting other people’s private space. Every time I go facilitate, I ask to crash on a couch or even on the floor just for the opportunity to bond with another community leader. Anytime a community leader asks to visit me, I prepare a spare room for them, no strings attached. I’ve found my family, and we’re actually not that difficult to find. Lee Ngo is a Seattle-based community leader and global facilitator for Techstars formerly based in Pittsburgh. He currently works as an evangelist for Galvanize. At first, I found it strange that the organizing team of the Triangle event I facilitated on June 12-14 pursued a “trailblazers” edition. Initially I had thought the team wanted to create a diversity-themed event similar to the one I had facilitated in Miami just two weeks prior. I learned quickly that the rationale behind that branding had to do with the perception of the world “diversity” as potentially not ideal. The term “Trailblazers” alluded to the multiple pioneers that have come from all walks of life in North Carolina, but not directly to women, people of color, or other underrepresented peoples. After 10 Startup Weekends as a participant, volunteer, organizer, and facilitator, I’ve come to not only appreciate the diversity of each event – I crave it. The greatest killer of an event is monotony – if it looks and feels the same as it did before, it will lose its luster. Sequoyah – creator of the Cherokee alphabet, which allowed for increase communication between and across Native American peoples. 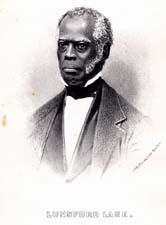 Lunsford Lane – born into slavery and invented a special tobacco that raise enough money to buy his freedom. 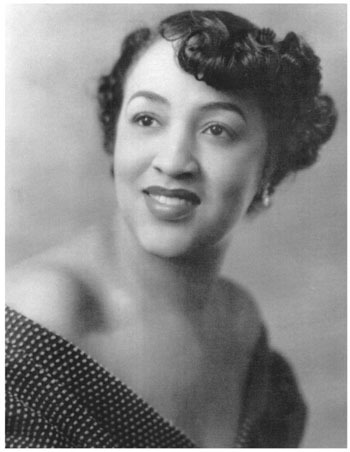 Mary Beatrice Davidson Kenner – inventor of 35 products and holder of five patents, granted retroactively as she was denied previously for being a black woman. The old American Underground building. In all of my Startup Weekends, I’ve never seen a more impressive, academic, and professional group of people that I did at Triangle Trailblazers. In this photo, I estimate there are at least twelve or thirteen advanced degrees and over one hundred years of professional experience. I was the lone liability of the group. Also, @DrinkMati is a fantastic sponsor. Team KinderWalk working to provide guidance for the visually-impaired in buildings. Two teams that hoped to aid the visually-impaired worked from start to finish during this competition, with one app – The Blank App – going on to win the AT&T Special Award for Connectability. It’s great to see Startup Weekend bring out the best of ourselves, regardless of whether it is convenient or profitable. With the recent Techstars acquisition of UP Global, there are many community leaders such as myself who are left with several questions about the future of the organization. While tax incentives and financial strategies are important, I think the preservation of UP Global’s Burning Man-inspired philosophy of “radical inclusion” should be at the forefront of the discussion. However, until our communities evolve to that point, we’ll just have to stay vigilant. From the bottom of my heart, I thank the Triangle Trailblazers team for inviting me out to be a part of their special event, and I’ll see everyone in September.